At Frogpond Farm Organic Winery, they believe that creating harmony in nature is the prerequisite for a truly authentic wine. As Ontario’s First certified Organic winery they take pride in crafting premium wines using only sustainable practices. 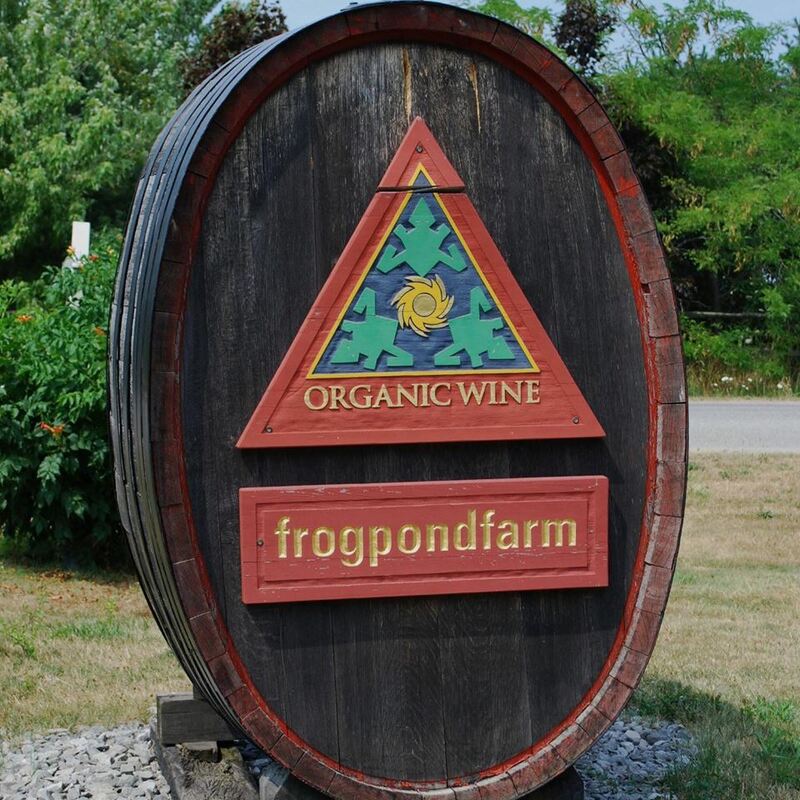 Frogpond is often asked what Organic wine certification requires. In order for a wine to receive Organic certification the vineyard and the wine making process must undergo a strict inspection by a third party certifier. The certifier makes sure that the wine has been made adhering to Canadian government Organic standards. All of their wines have been certified Organic by Pro-Cert Organic, for both the grape growing and the wine making processes. While they are growing their grapes they do not use any chemical based herbicides, fungicides or pesticides and while they are processing their wines they do not use any chemical or synthetic based products. What Frogpond Farm does, is focus on growing stronger, healthier more disease resistant plants right from the start. Their grape vines are provided with a clean, healthy environment in which they can thrive. They keep a variety of plants, birds and animals on the farm that create a balanced ecosystem. This includes our Guinea Fowl. The Guinea fowl have a strong rousting instinct and therefore do not go very far from the vineyard. They are also very efficient bug eaters and are very effective at helping to control the bug population in the vineyard. By farming organically they are not only helping the environment, they are also ensuring that their property is a clean and safe place for all staff and visitors and eliminating the risk of coming in contact with a chemical based product that can injure them or make them sick. They are passionate about their wines and invite you to taste the difference Organic makes. Very interesting place! This organic winery are for those who want to do it in a healthy and natural way. But we are talking about wines right? So it is indeed for everyone!